I recently returned from the IECA conference in Orlando, Florida. The first three days included tours of seven colleges and universities, followed by conference sessions and a college fair for IECA consultants. Our first visit was to Emby-Riddle Aeronautical University in Daytona, a high-powered, modern, all-things-aeronautical university offering programs such as flight training, engineering, security, counter-intelligence, and business with an aeronautical focus. Other interesting majors include commercial space, air traffic control, meteorology, and space physics. 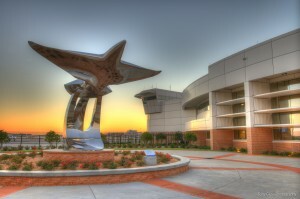 Embry-Riddle also has a full range of programs on a campus in Prescott, Arizona. There are approximately 5000 students at this campus near the Daytona Raceway, the NASA launch pad, and beaches. Varsity sports programs are popular and club sports include sky-diving, surfing, sailing and scuba among others. ERU offers summer programs for high school students interested in evaluating whether or not this focused university will be a good fit. Students do not have to have experience with flight to apply to the EMU. Students with learning disabilities are well supported, and private tutors are free. EMU is test-optional and an essay is recommended. All freshmen live on campus; however, many of the upperclassmen I spoke with live off-campus, as rentals are reasonable. Students apply directly into a program but it is possible to get a reevaluation to switch once a student is enrolled, particularly if a student was not accepted into their first choice program. ROTC is very popular, with all three branches of the military offering onsite programs. 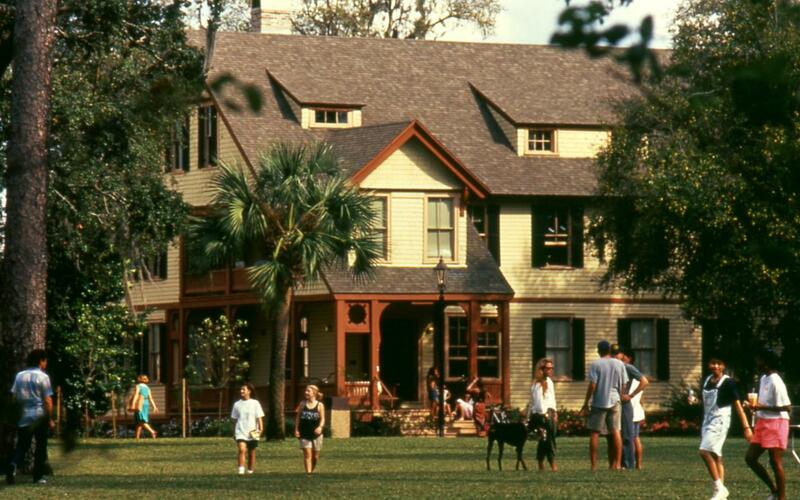 Rollins College in Winter Park, Florida, is a gem. This small, liberal arts college with 1,900 undergraduates is beautifully maintained and nestled along the coast with views of Lake Virginia and is within easy walking distance of the beach and a popular town that embraces Rollins students. Paul McCartney had just been on campus performing the weekend before. Many students live on campus, and the residence halls are popular as are the Greek houses on campus. The Greek system has deferred recruitment, with all students required to live on campus freshman year, and subsequent residence in the Greek houses is 40 percent campus-wide. Most students live on campus, bikes are available campus-wide, and students may also rent sailboats on this idyllic campus. Rollins has instituted the new RCC Program of core courses for all freshmen. RCC includes an integrated curriculum across many disciplines. Business, with a popular new program in social entrepreneurship and an emphasis on financial viability, is a popular major at Rollins. Other popular courses include archaeology, marine biology, environmental studies, international business, and an accelerated MBA program. Students considering law school major in a variety of disciplines, but advisors recommend that students considering this option (for example, those majoring in chemistry) take a course in patent law. Rollins offers many merit scholarships, with several full-ride scholarships. Financial and merit aid covers most costs associated with the very popular study abroad programs. Classes at this supportive campus are small, and participation is essential for and expected of all students. Rollins encourages a holistic development of students during their four years, with high expectations for all students. The Center for Leadership & Community Engagement offers students financial support in over 25 different programs. This Division II college boasts membership in the NCAA top 25 for academics in all divisions, and academic support for athletes is a major priority. All students at Rollins are part of the academic warning system, with a care team in place to provide support where necessary. Eckerd College is a small liberal arts college of 1800 students located at the southernmost tip of St. Petersburg, Florida, in the Tampa Bay metropolitan area. Eckerd is a member of the Colleges That Change Lives consortium. The vibe is low-key on this pastoral campus where students go barefoot and coast around campus on longboards. Students arrive as freshmen for a month in August, living and learning in a community of 30 students, focusing on one intensive course. Orientation is included, and this month supports students in a good transition by connecting them to one another and faculty. Some dorms are pet friendly, and all waterfront activities are free to students. There is no Greek system, and there are 32 students per dorm, consistent across this expansive waterfront campus. Students with higher GPAs get priority for housing. Eighty percent of Eckerd students study abroad, and over 80 percent are from out of state. Scholarships are abundant, with most students getting some merit aid and/or need-based financial aid. 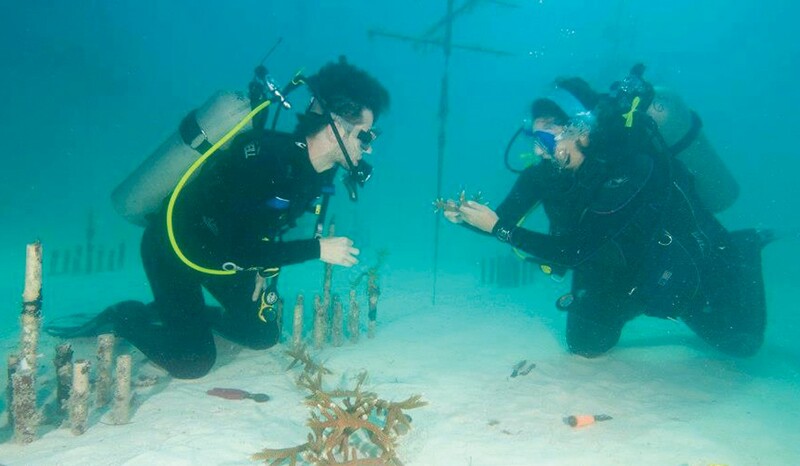 Top majors include marine science, environmental studies, international business, and communications. There are more internships available at Eckerd than students to participate. Faculty mentors provide career counseling beginning in the freshman August term, and students work with their advisors to put together a four-year plan if they choose to do this. The University of Tampa campus is located directly across a bridge from downtown Tampa, within easy walking distance to internships at this very career-oriented campus. “Learning by doing” is big at the private University of Tampa. The business program offers many majors, and students are admitted directly without a separate application. With so many internships available in the area, majors in sports management, international business, criminology, and marketing can work at a variety of companies, including the Home Shopping Network and many of the pro sports teams in the Tampa area. Bloomberg Certification is available to those interesting in trading, and marine science majors have extensive labs and vessels available for their studies. Merit aid is extensively offered to students at the U of Tampa. The net price calculator includes merit aid if students input their GPA and standardized test scores. ROTC, Yellow Ribbon support, and career services are popular options for students. Approximately 50 percent of students are from Florida. Housing in nice high-rise dorms is competitive, so students are encouraged to apply early (refundable) once they are admitted. The Honors Program does not require an additional application but is offered automatically based on a student’s general application. Highlights of this program include an Oxford Semester, enhanced opportunities with research and internships, and the requirement of only five honors courses. Florida Southern College is the oldest private college in the state of Florida. 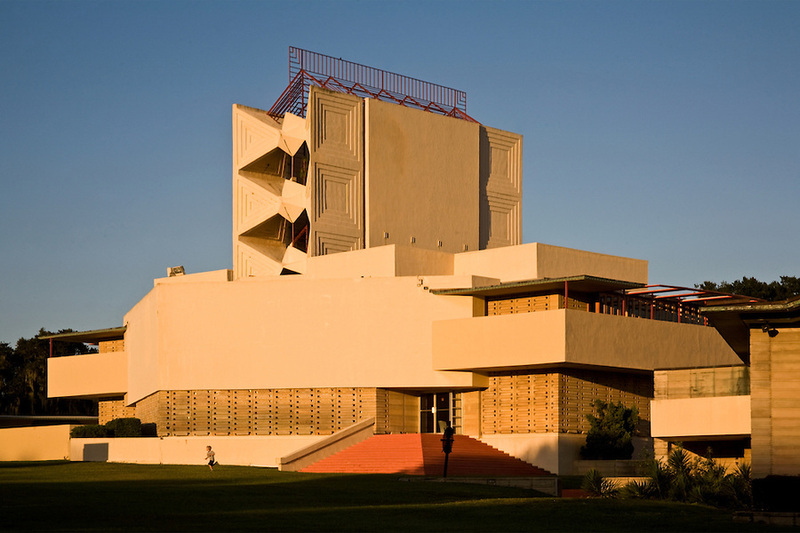 Frank Lloyd Wright designed this distinctive campus, and visitors from around the world make this a stop on their architectural tours. Many students come from both the Northeast and the Midwest, with 36 percent of students from out of state. Experiential learning is key at this campus of 2800 undergraduates, with active and participatory learning encouraged in all disciplines. FSC has a four-year graduation guarantee and will pay for remaining costs if this is not achieved. Students are also guaranteed that they will be able to study abroad during Junior Journey and participate in an internship. The campus is located on Lake Hollingsworth, and I noticed many students participating in athletics at this Division II college, which boasts many national championships. Many participate in campus ministries, and a major in Youth Ministry is offered. The majority of students get merit aid, in addition to an Honors Program and many talent scholarships. Interesting majors include horticulture, Citrus, Recreational Turf Management, and Computer Sciences. The Music Department is strong, with programs in Music Education, Music Performance and Music Management available. In addition, FSC offers Sports Communications, a direct admit nursing program and Healthcare Administration. FSC offers a conditional admission program for students who may need more time to segue into college. Courses are taken part-time, and most are admitted as full time students after some time on campus. Overnights are available for scholarship candidates, and FSC offers travel reimbursement during Scholars Weekend for students accepted between before the end of February. Located in DeLand, Florida, Stetson University’s pastoral campus is very residential, with 80 percent of students living on campus. Our tour guide was from Seattle, and we had a great opportunity to discuss the university from a Northwest student perspective. The undergraduate population is 2,800, and the faculty base is growing. Stetson is test-optional for admissions and will accept any writing sample for admissions. Merit aid is offered to many students beginning at the 3.0 level, and they recommend applying earlier in the cycle to obtain better offers. Turn-around time from application to a final decision is approximately two to three weeks. Demonstrating interest in Stetson through contact with the admissions office and/or visits to the university is important in final admissions decisions. Interviews are offered on the road and are highly recommended. Travel scholarships are offered to potential first-year students. Stetson has a Division I athletic program and athletics are popular. All-female dorms are offered, and Stetson even has pet-friendly dorms with all kinds of animals living with students. Stetson has a strong music program, with high school auditions required for majors. Talent scholarships in music, for non-music majors, are available with minimal performance requirements once enrolled. Stetson participates in the Bonner Scholars Program for community service, and students with considerable community service should consider applying. Global business is a popular major, and Business Intelligence and Analytics is unique among most universities and filling a growing need in the workplace. A five-year MBA is also offered. Scholarships are available in the creative writing program, as well as the Lawson scholarship in the humanities. Another scholarship is offered through the business program, focusing on business data and analytics, a growing field with considerable market demand. Self-designed majors are available for students with interdisciplinary interests. The Honors Program includes stipends as well. This cozy campus with a strong sense of community has a small campus feel with substantial diversity and lots of interaction between students. University of Central Florida is the second largest university in the US after Arizona State. The nationally recognized Hospitality Management program is one of its top programs and is located at a separate campus in Orlando. The University of Central Florida has ten undergraduate colleges; science and engineering are particularly popular. Admissions is rolling, and many scholarships are offered with no separate applications required. Out-of-state students constitute only 7 to 8 percent of the student body, and admission requirements are the same for both in- and out-of-state students. Essays are recommended but not required, and counselor recommendations are also encouraged. Twenty living-learning communities offer students the opportunity to build a sense of community on this very large and vibrant campus.